PNDC partners with Northwest Congressional Members to streamline and strengthen federal procurement processes to improve long-term return on investment in defense and security contracts. We support reforms that increase fairness and consistency, improve access by contractors of all sizes, and strengthen Northwest contractors who deliver high quality products and services. PNDC Member Price: FREE - This is a member-only event! 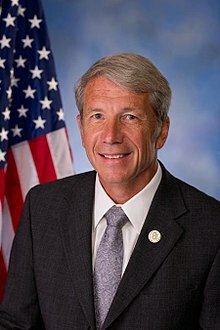 Congressman Kurt Schrader is currently serving his sixth term in the United States House of Representatives. He represents Oregon's 5th Congressional District, which includes all of Marion, Polk, Lincoln and Tillamook Counties as well as the bulk of Clackamas and small portions of Multnomah and Benton Counties. Due to compliance with U.S. Government regulations, access to this facility is limited to U.S. Citizens, please confirm citizenship status on the registration form. Government-issued photo ID must be presented to enter the facility. These Congressional Roundtables are free for all PNDC members, but space is limited so please RSVP today.